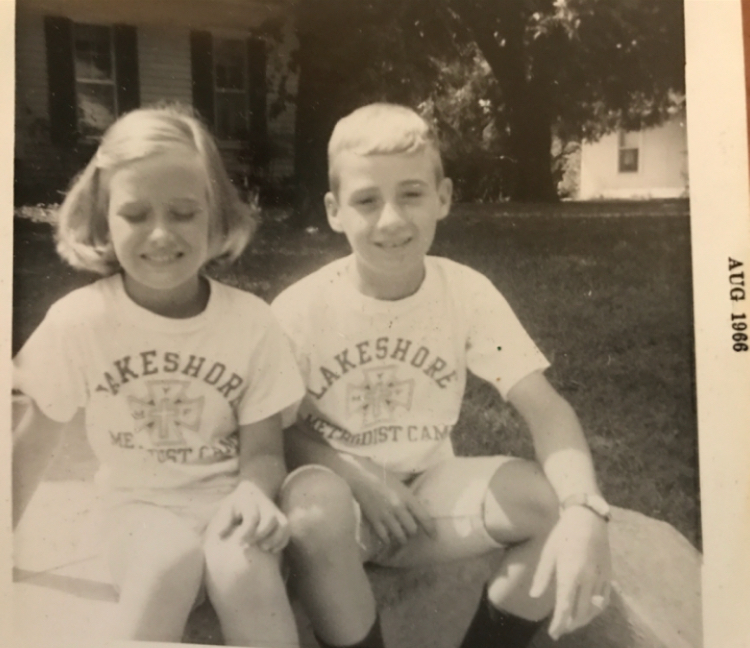 My love affair with Lakeshore began in the summer of 1967. I had just finished third grade and I rode to Eva with my Momma to pick up my brother who had just spent his first week at camp. He had had such a great week and so much fun that I wanted to stay, so when we got home, we filled out an application and scheduled my first week of camp. When I came, I was so excited and couldn’t wait to get there, but when I got there, all by myself, I got cold feet and had a hard time letting my Momma and brother leave. The counselors asked me if I would stay if my brother stayed and spent the week, too. So, my Momma bought some more Lakeshore t-shirts and the counselors went to Camden and bought him some extra shorts, and we stayed. I had the best week of my life-and hardly saw my brother. When it came time to go home, I didn’t want to go. Bill Wheatley was the dean that week and I still remember him saying, “Well, you cried when you came and now you’re crying when you’re leaving! A successful week!” And it certainly was. I couldn’t wait until my girls, Dorothy & Suzanne, were old enough to be campers. The first time I brought Dorothy, it was only for the 3 day, 2 night camp, and when I came to get her, she was furious with me. She didn’t realize that she didn’t get to stay all week and she did not want to leave. Another successful week! Both of my girls also fell in love with Lakeshore, and spent many years as campers, and then each spent 2 summers on staff. And Dorothy has continued to come back each summer as a program director or dean. Last summer, she brought her year old daughter for the week, and now she will have a hard time ever going back without her. Their Lakeshore upbringing has been a huge influence on them, not only on their faith walks, and also in their ability to share their faith. They feel that at camp they have always been able to be themselves and be accepted, and they have made lifelong friends. Each time they leave, they cannot wait to get back to this sacred place. My dream is that Lakeshore will continue to be this safe haven for all children-a place where they can learn about God and feel His presence in their lives. I pray that Lakeshore will continue to be a place where children can come and be themselves and let down their guard, where the counselors and Act staff show them it’s cool to be a young adult Christian, and where they can escape whatever trials they face at home. And I look forward to my granddaughter and future grandchildren growing up loving this place as we do. I am so proud to be a member of the Lakeshore Board to help to secure the future of this hallowed ground so that more children may be reached, loved, accepted, and have their faith walk increased. Next Next post: Get Ready for Summer 2019!